Equipped with four bright LED's. Made from anodized aluminum for superior protection from harsh marine environments. 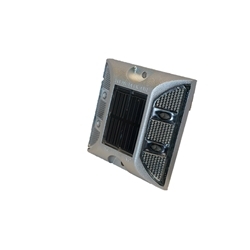 Powerful solar panel to provide all night illumination. Built in reflectors for added safety. Low Profile - Perfect for docks and marina applications.